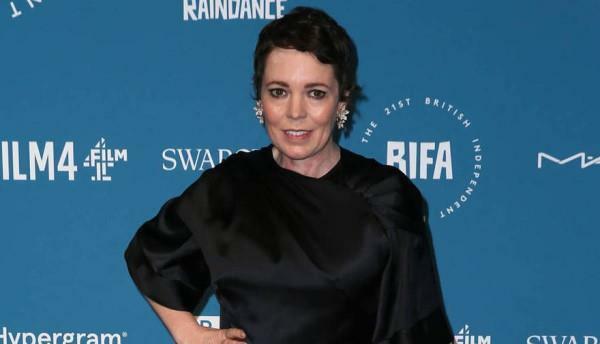 (MENAFN - Daily News Egypt) The 30th annual Palm Springs International Film Festival (PSIFF) will present Olivia Colman with the Desert Palm achievement award, actress for her role in the film The Favourite at its annual film awards gala. The award will be presented by her co-star in the film Emma Stone. The film awards gala, will be hosted by Mary Hart and Entertainment Tonight, and presented by American Express. She joins previously announced honourees Glenn Close; Bradley Cooper; Alfonso Cuarón; Regina King; Spike Lee; Rami Malek; Melissa McCarthy and the film Green Book. Past recipients of the Desert Palm Achievement Award, Actress include Halle Berry; Cate Blanchett; Sandra Bullock; Marion Cotillard; Julianne Moore; Natalie Portman; Saoirse Ronan and Charlize Theron. The film takes place in early 18th century where England was at war with the French. Nevertheless, duck racing and pineapple eating are thriving. A frail Queen Anne (Olivia Colman) occupies the throne and her close friend Lady Sarah Churchill (Rachel Weisz) governs the country in her stead while tending to Anne's ill health and mercurial temper. When a new servant Abigail Masham (Emma Stone) arrives, her charm endears her to Sarah. Sarah takes Abigail under her wing and Abigail sees a chance at a return to her aristocratic roots. As the politics of war become quite time consuming for Sarah, Abigail steps into the breach to fill in as the Queen's companion. Their burgeoning friendship gives her a chance to fulfil her ambitions and she will not let woman, man, politics or rabbit stand in her way. The Fox Searchlight Pictures film is directed by Yorgos Lanthimos. For her role in the film, Colman has garnered a Golden Globe nomination for Best Actress in a Motion Picture – Musical or Comedy, a Screen Actors Guild nomination for Outstanding Performance by a Female Actress in a Leading Role, and two Critics' Choice Award nominations in the categories of Best Actress and Best Actress in a Comedy. She also received Best Ensemble Performance from the Gotham Awards alongside Emma Stone and Rachel Weisz, as well as the Volpi Cup at the Venice Film Festiva,l and a Best Actress Award from the British Independent Film Award, and the Los Angeles Film Critics Association. Colman's film credits include Tyrannosaur for which she won a World Cinema Special Jury prize for her breakout performance at Sundance, and Best Actress awards at the British Independent Film Awards and Evening Standard British Film Awards. For her role in The Lobster, Colman won Best Supporting Actress at the 2015 British Independent Film Awards. Her other film credits include Murder on the Orient Express; The Iron Lady; London Road; Hyde Park on Hudson; Locke; Cuban Fury and Hot Fuzz. In Television, she won the Golden Globe for Best Supporting Actress in a mini-series for The Night Manager and won a Television BAFTA for Leading Actress for Broadchurch. Her other television credits include Rev; Accused; Flowers; Fleabag; The Thirteenth Tale; Twenty Twelve; Mr Sloane; The Secrets; The Suspicions of Mr Whicher II; Peep Show; Exile and Greenwing. Next, she will portray Queen Elizabeth II in the third and fourth seasons of the critically acclaimed original Netflix series The Crown. Also during the days of the festival, the Variety entertainment magazine will honour director Ryan Coogler at the PSIFF as part of the annual 10 Directors to Watch Brunch at the Parker Palm Springs. The Black Panther director will receive the annual Creative Impact in Directing Award. Previous recipients of this award have included Patty Jenkins, David O. Russell, Charlie Kaufman, Jeff Nichols and Philip Seymour Hoffman. The award celebrates his career, from his groundbreaking first feature Fruitvale Station, to his most recent work directing Black Panther, which was recently named one of AFI's Best Films of the Year and is nominated for a Golden Globe Best Motion Picture – Drama. The PSIFF is one of the largest film festivals in North America, welcoming 135,000 attendees last year for its lineup of new and celebrated international features and documentaries. The festival is also known for its annual film awards gala, a glamorous, black-tie event attended by 2,500, presented this year by American Express and sponsored by Entertainment Tonight. The film awards gala honours the year's best achievements in cinema in front of and behind the camera.